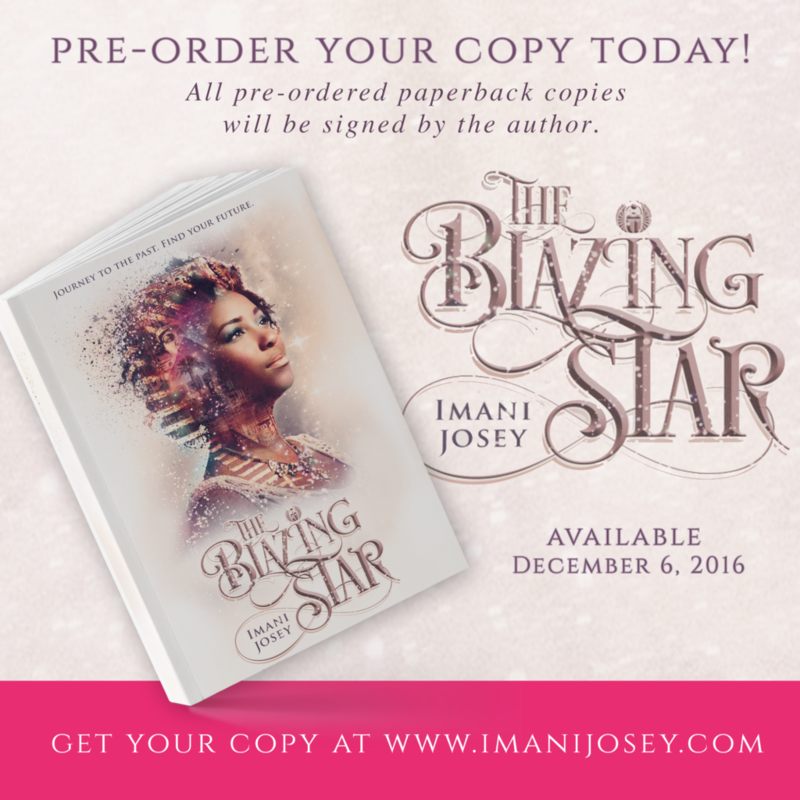 Today I’m so excited to share this special interview with Imani Josey, debut author of The Blazing Star and all-around awesome person! 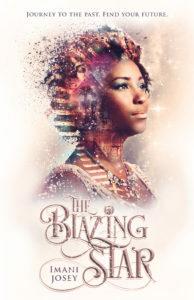 From the moment I saw the cover reveal for The Blazing Star, I knew this was going to be a special book. As you’ll see from this interview, I am a bit of a history geek—especially for ancient Egypt, which was my study emphasis in college. So when I saw this book? Let’s just say I preordered it so fast that I may have given myself whiplash. I am so excited to read it when it comes out next week! 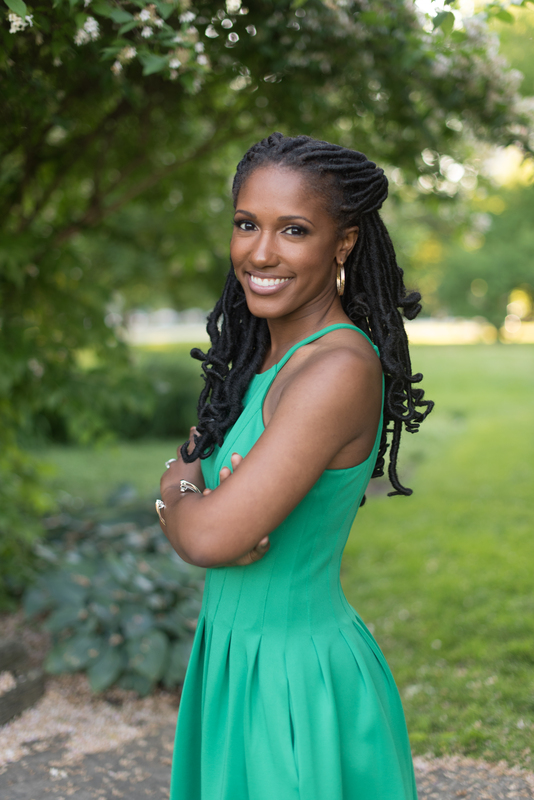 Enjoy the interview, and thanks so much to Imani for stopping by! 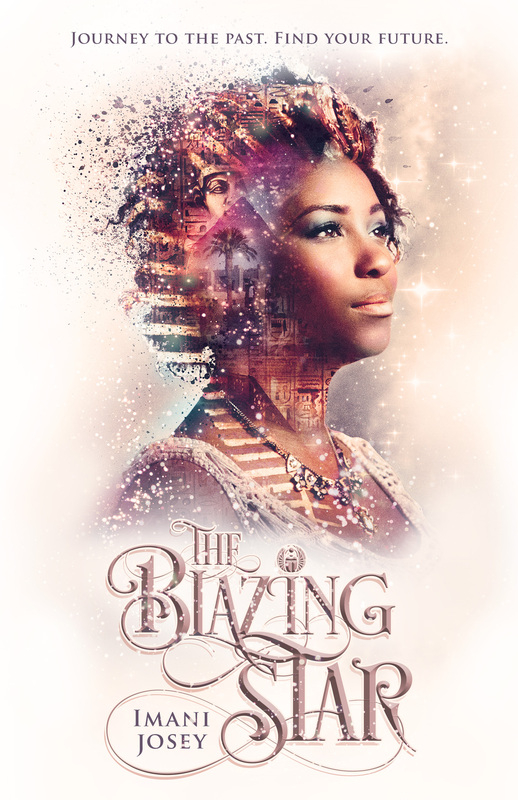 What was the inspiration for The Blazing Star? What is your favorite period of Egyptian history? Do you have a favorite dynasty or pharaoh? Now this is a great question! And glad to meet a fellow history nerd. I love the Thutmosids. Thutmose I and Hatshepsut are very interesting to me, as they are two of the juggernaut pharaohs from the 18th Dynasty. But I’m also curious about Hatsheptsut’s daughter, Princess Neferure. Firstly, I just think her name is really pretty (meaning the beauty of Re, the sun god). I borrowed it in the book. I find her interesting because I wonder what it was like to be the daughter of the only female pharaoh until Cleopatra VII (but that’s a bit different in circumstance). I feel like there’s a YA story behind Neferure, much in the way I’ve seen plenty of historical fiction based on Cleopatra VII’s daughter, Cleopatra Selene. What would you do if you were transported back in time? Where would you like to go? Would your journey be different from your main character, Portia’s? Another good question! Mmmm, if I were to go back in time I’d like to go to ancient Kush and meet the Kandake of Meroe. Or I’d go to 1920’s Paris because what a time that would be. My journey would be like Portia’s if I was a teenager, as a lot of Portia’s journey is about self-actualization. If I was traveling as an adult, the journey would be different. I know who I am, so I’d be interested in the adventure. I might be more like Sikara than Portia! What is your favorite part of being an indie author? My favorite part of being an indie author is the freedom, though it’s also the scariest part. Being an indie author means being an authorpreneur. It means fully understanding and accepting that everything, from the creative to the investment end, is on you. Though you get your fair share of the pressure, you DO reap the benefits. My characters are all mine. I had major input on my cover. I can advertise how I’d like. Freedom and agency are very important to me, so it makes me happy to see this project come to life. My sense of accomplishment is incredible, and it’s amazing to watch so many people enjoying The Blazing Star. What kinds of challenges do you think indie authors face in the book world, and do you have any tips for overcoming them? Indie authors face many challenges. Money is one. Finding the right editors, designers, printers, and production team isn’t inexpensive. Cultivating a great working relationship is key. Then there’s also still some stigma about going indie, which (as more authors choose this route) I hope fades as great indie books find their ways to readers.